Water quality measurement solutions include simple indicator measurements such as pH, conductivity, DO (dissolved oxygen) and turbidity but may involve more complex analytical measurements such as ammonia, nitrate and phosphate. Some applications, especially those measuring waste-water or raw-water, often require a complete package of instrumentation that may include sample acquisition and sample preparation systems, to support analytical measurements. 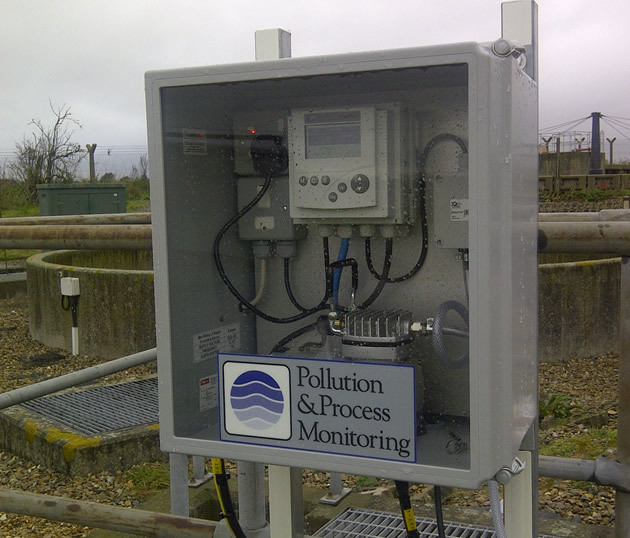 Pollution & Process Monitoring is a specialist instrument manufacture, distributor and system integrator with many years of experience building the complete water quality measurement solution. However, the need to engineer the correct on-line measurement solution, to provide reliable water quality data should not be understated. So often, even the correct instrument selection may not provide good quality measurement data, if incorrectly installed and maintained. The correct sample preparation and sample pumping systems are critically important for analytical water quality measurement. Automatic cleaning systems may need to be integrated to simpler probe measurement technologies. Prefabrication onto back-panels or within analyser kiosks, may also be required to minimise the time on site and ensure the correct, water quality measurement solution is provided.